A model professional and a mainstay of the VfL Wolfsburg side, defender Naldo has played every minute of the Bundesliga season so far. On Matchday 13, the Brazilian-born centre-half who recently became a German citizen will line up against his former club SV Werder Bremen, for whom he made over 250 Bundesliga appearances in a seven-year spell. In an exclusive interview with bundesliga.com, Naldo looks back on his time in Bremen and ahead to what the future holds for him at the Volkswagen Arena. 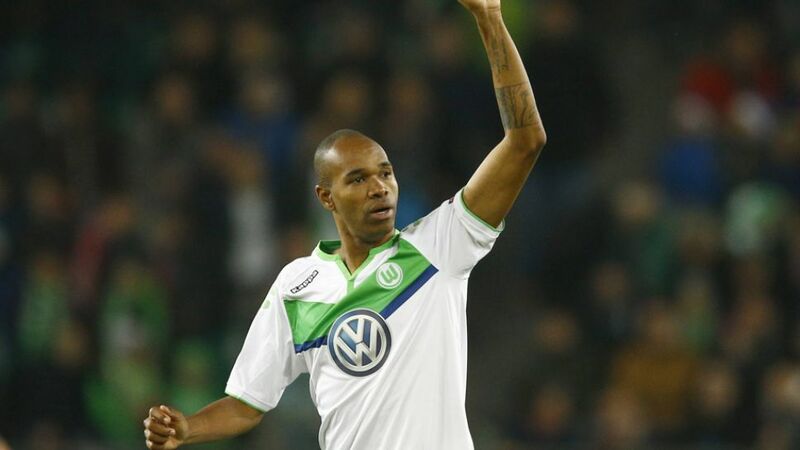 Naldo: Obviously I hope that’s the case, and I think Klaus Allofs [Wolfsburg sporting director] sees it that way too. I’ve tried to settle in here from day one and I’m especially grateful to my teammates Marcel Schäfer and Diego Benaglio for helping me to integrate so well here. They made it a lot easier for me. I enjoy being out on the pitch with the team every single day, and I love it when fans stop me in the street or after training to ask me for a photo. bundesliga.com: You’ve played every minute of every competitive game this season. Are you getting better as you get older? Naldo: Exactly (laughs). But honestly, it would be fantastic if I could maintain the level I’m playing at. I’ve played 19 games season so far, which isn’t bad at all, and although I’m 33 I feel younger. My body’s performing well although I do have to take care of myself every day. I do a lot of work with the fitness coach, make sure I have enough time to recharge my batteries and get enough sleep. When you have two games in a week like we do now, that’s massively important. I’ve been a professional footballer for almost 15 years and if I can avoid serious injuries like the knee injury a few years back, maybe I’ll play for a couple more years. bundesliga.com: Your compatriot Ze Roberto is 41 and still playing in Brazil’s top flight with an engine that most 20-year-olds can only dream of…. Naldo: Ze Roberto is a phenomenon and a role model for all young players. I think even now he still runs more than a lot of much younger players. He’s still playing at a high standard in Brazil and you’re right, he looks great! bundesliga.com: The team apparently had a meeting without the coach [Dieter Hecking] and Allofs recently. What was this about? Naldo: We had a meeting, yes. I should first point out that the criticism we received from Klaus Allofs and Dieter Hecking in the last few weeks was totally justified. We just had a meeting among the players where everyone had the chance to put his own opinion forward. That brought us closer together, but now we need to follow up those words with action. Naldo was speaking to Andreas Kötter.